For other people with the same name, see William Bennett (disambiguation). The Queen's Privy Council for Canada, sometimes called Her Majesty's Privy Council for Canada or simply the Privy Council, is the full group of personal consultants to the monarch of Canada on state and constitutional affairs. Responsible government, though, requires the sovereign or her viceroy, the Governor General of Canada, to almost always follow only that advice tendered by the Cabinet: a committee within the Privy Council composed usually of elected Members of Parliament. Those summoned to the QPC are appointed for life by the governor general as directed by the Prime Minister of Canada, meaning that the group is composed predominantly of former cabinet ministers, with some others having been inducted as an honorary gesture. Those in the council are accorded the use of an honorific style and post-nominal letters, as well as various signifiers of precedence. The Order of Canada is a Canadian national order and the second highest honour for merit in the system of orders, decorations, and medals of Canada. It comes second only to membership in the Order of Merit, which is the personal gift of Canada's monarch. 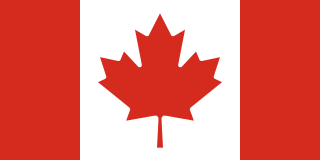 Canadians are people identified with the country of Canada. This connection may be residential, legal, historical or cultural. For most Canadians, several of these connections exist and are collectively the source of their being Canadian. Bennett was born in Hastings, New Brunswick, Canada, one of five children of Andrew Havelock Bennett and Mary Emma Burns. His father was a third cousin of Richard Bedford Bennett, eleventh Prime Minister of Canada. He left formal school in grade nine, during the First World War, to take a job in a hardware store, but would pursue correspondence courses as an adult to improve his knowledge and job potential. He joined the Air Force but the war ended before he saw active duty. At the age of 18, he and his family moved to Edmonton, Alberta and then to Westlock, Alberta, where Bennett's father operated a hardware store. William Richards Bennett, was the 27th Premier of the Canadian province of British Columbia from 1975 to 1986. He was a son of Annie Elizabeth May (Richards) and former Premier, W. A. C. Bennett. He was a 3rd cousin, twice removed, of R.B. Bennett, eleventh Prime Minister of Canada. The United Church of Canada is a mainline denomination and the largest Protestant Christian denomination in Canada, and the largest Canadian Christian denomination after the Catholic Church. In 2011, Statistics Canada reported approximately 2 million people identifying as adherents. The United Church was founded in 1925 as a merger of four Protestant denominations with a total combined membership of about 600,000 members: the Methodist Church, Canada, the Congregational Union of Ontario and Quebec, two-thirds of the congregations of the Presbyterian Church in Canada, and the Association of Local Union Churches, a movement predominantly of the Canadian Prairie provinces. The Canadian Conference of the Evangelical United Brethren Church joined the United Church of Canada on January 1, 1968. Bennett opened a hardware store in 1927, in partnership with another man, and married May Bennett soon afterwards. Bennett sold his interest just before the 1929 Stock Market crash, fled the tough Alberta economic conditions, and soon moved to Kelowna, British Columbia where he opened his own hardware store, Bennett's Hardware. A successful merchant, he served as President of the Kelowna Board of Trade from 1937 to 1939. Teetotalism is the practice or promotion of complete personal abstinence from alcoholic beverages. A person who practices teetotalism is called a teetotaler or is simply said to be teetotal. The teetotalism movement was first started in Preston, England, in the early 19th century. The Preston Temperance Society was founded in 1833 by Joseph Livesey, who was to become a leader of the temperance movement and the author of The Pledge: "We agree to abstain from all liquors of an intoxicating quality whether ale, porter, wine or ardent spirits, except as medicine." The Okanagan Valley wine region, located within the region of the same name in the British Columbia Interior, is Canada's second-largest wine producing area. Along with the nearby Similkameen Valley, the approximately 8,619 acres of vineyards planted in the Okanagan account for more than 80% of all wine produced in British Columbia, and are second in economic importance for wine production to the Niagara Peninsula of Ontario. Some 182 licensed wineries existed from south to north in the valley in 2018, with many situated along the 135 km (84 mi)-long Okanagan Lake and its tributaries and downstream lakes, including Skaha Lake, Vaseux Lake, and Osoyoos Lake. The Okanagan has diverse terrain that features many different microclimates and vineyard soil types, contributing characteristics which are part of an Okanagan terroir. As a coalitionist, Bennett was re-elected in 1945, but vacated the seat in 1948 in order to run, unsuccessfully, as Progressive Conservative candidate in the Yale federal by-election of that year. Regaining the Coalition nomination for the South Okanagan seat, Bennett was returned to the British Columbia Legislative Assembly in the 1949 provincial election. After failing in his bid to become leader of the provincial Progressive Conservative Party in 1951, he left the party to sit as an independent member. In December of that year, he took out a membership in the Social Credit League. Commencing with the 1952 provincial election, the province used an alternative vote system that had been designed to enable the Conservative and Liberal parties to keep the Co-operative Commonwealth Federation out of power. What the Liberals and Conservatives failed to reckon with, however, was what CCF voters would do with their second preferences. In the election, the CCF's second preferences went overwhelmingly to Social Credit, making them the largest party with 19 seats out of a total of 48. The Socreds succeeded in convincing an Independent Labour Member of the Legislative Assembly (MLA) to support them and so were able to form a minority government. On August 1, he was sworn in as Premier of British Columbia, an office he went on to hold for 20 years. 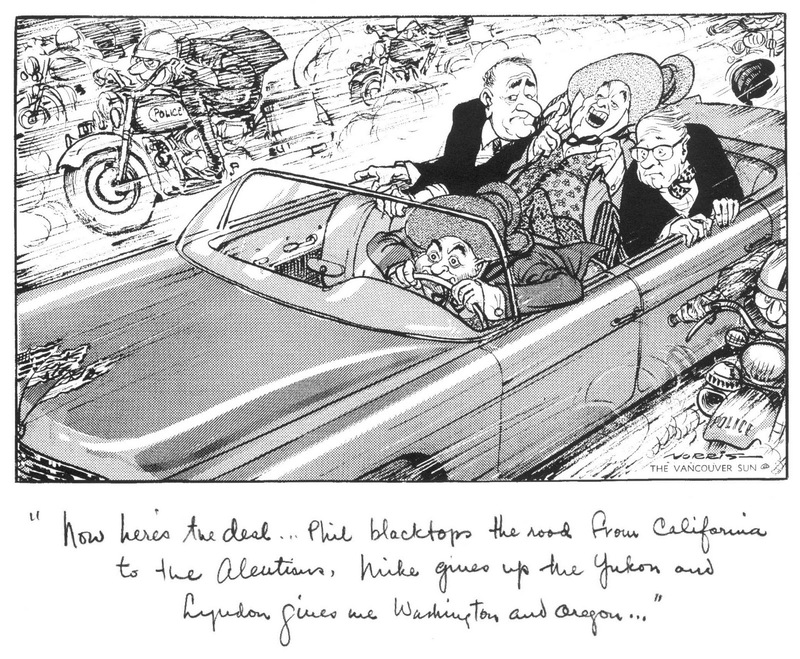 In order to get a stronger mandate, Bennett deliberately engineered the defeat of his initial minority government with a school funding proposal, forcing an election for June 1953. Social Credit was re-elected with a clear majority. Preferential voting was not used in BC again as Bennett, who had profited from the system, abandoned it following his 1953 victory. The Social Credit Party won seven consecutive elections during W.A.C. Bennett's involvement and leadership: 1952, 1953, 1956, 1960, 1963, 1966, and 1969. The only election Bennett lost as a member of Social Credit was in 1972, the last election in which he was a candidate. While the Social Credit party was founded to promote the social credit theories of monetary reform, these could not be implemented at the provincial level, as the Alberta Social Credit Party had learned in the 1930s. Bennett quickly converted the provincial party into a populist conservative party, and it became a vehicle for those who sought to keep the CCF out of power. However, as leader of the Social Credit Party of Canada's second most powerful provincial branch, he spoke for the party in federal election campaigns. During the 1957 election, he spoke for the party at a rally in Regina, Saskatchewan. In the 1965 election, Bennett and his cabinet ministers toured BC to encourage voters to elect Social Credit MPs to promote BC's interests. The cabinets of the Bennett governments over 20 years had several memorable ministers, including the flamboyant "Flying Phil" Gaglardi, who oversaw the rapid expansion of highways throughout the province and a similar expansion of BC Ferries. Bennett advocated in 1955 for a universal medical, dental, hospital, and pharmaceutical insurance coverage. Universal, publicly funded medical and hospital insurance was introduced as part of the federal government's creation of what became known as Medicare. The provincial government introduced a retail sales tax to fund the program. Bennett proposed that Canada be considered as a group of regions instead of provinces: Atlantic Canada, Quebec, Ontario, Western Canada, and BC. He also proposed that the four western provinces be expanded north, with BC absorbing the Yukon Territory. Although there were no concrete results, the concept of different regions, instead of provinces, has become part of how Canadians discuss the country. BC hosted the 1971 constitutional conference in Victoria. From this emerged the Victoria Charter, the most far-reaching federal-provincial agreement on constitutional amendment since Confederation. Bennett advocated that BC should have a veto over constitutional amendments, along with Ontario and Quebec. Following his party's defeat in the 1972 election by Dave Barrett's revitalized New Democratic Party (the successor to the CCF), he served as Leader of the Opposition until resigning his seat as member for South Okanagan in June 1973. His son, W.R. "Bill" Bennett, won the South Okanagan by-election in September. W.A.C. Bennett retired as leader of the Social Credit Party on November 15, and his son Bill Bennett was elected leader of the BC Social Credit Party on November 24, 1973. NDP Premier Dave Barrett dropped the writ and sought re-election in the fall of 1975, the Socreds were returned to power with 35 seats in the 55-seat Legislature, and W.A.C. 's son Bill became the new Premier of British Columbia, inheriting his father's mantle of power as well as many of his father's cabinet members. In 1976, W.A.C. Bennett was made an Officer of the Order of Canada. He died in 1979, and was interred in the Kelowna Municipal Cemetery, in Kelowna, British Columbia. The British Columbia Liberal Party is a centre-right provincial political party in British Columbia, Canada. The party currently forms the Official Opposition. The leader of the Liberal Party, and Leader of the Official Opposition of British Columbia, is Andrew Wilkinson. The New Democratic Party of British Columbia is a social-democratic provincial political party in British Columbia, Canada, which currently governs the province. It previously governed from 1972 to 1975 and from 1991 to 2001. Following a hung parliament as a result of the 2017 election and the BC Liberal government's failure to win a confidence vote in the legislature, the BC NDP secured a confidence and supply agreement with the BC Green Party to form a minority government. The BC NDP is the British Columbia provincial arm of the federal New Democratic Party (NDP). William Nicholas "Bill" Vander Zalm is a politician and entrepreneur in British Columbia, Canada. He was the 28th Premier of British Columbia from 1986 to 1991. David Barrett, was a politician and social worker in British Columbia, Canada. He was the 26th Premier of British Columbia for three years between 1972 and 1975. The British Columbia Social Credit Party, whose members are known as Socreds, was the governing political party of British Columbia, Canada, for all but three years between the 1952 provincial election and the 1991 election. For four decades, the party dominated the British Columbian political scene, with the only break occurring between the 1972 and 1975 elections when the New Democratic Party of British Columbia was in power. The Canadian social credit movement is a Canadian political movement originally based on the Social Credit theory of Major C. H. Douglas. Its supporters were colloquially known as Socreds in English and créditistes in French. It gained popularity and its own political party in the 1930s, as a result of the Great Depression. Philip Arthur Gaglardi, sometimes known as Flying Phil was a politician in the Canadian province of British Columbia. He is best known for his service as Minister of Highways in the BC government from 1955 to 1968. The Social Credit Party of Canada, colloquially known as the Socreds, was a conservative-populist political party in Canada that promoted social credit theories of monetary reform. It was the federal wing of the Canadian social credit movement. The British Columbia Conservative Party, or simply the BC Conservatives, is an active provincial political party in British Columbia, Canada. In the early half of the 20th century, the Conservatives competed with the British Columbia Liberal Party for power in the province. Since the 1950s however, the party has had only a minor presence, not having elected a member of the Legislative Assembly in a general election since 1975. The last sitting MLA for the Conservatives was John van Dongen, who briefly crossed the floor to the party in 2012 before leaving to sit as an independent. The British Columbia general election of 1991 was the 35th provincial election in the Province of British Columbia, Canada. It was held to elect members of the Legislative Assembly of British Columbia. The election was called on September 19, 1991, and held on October 17, 1991. The incumbent Social Credit Party of British Columbia, which had been beset by scandals during Bill Vander Zalm's only term as premier, was defeated by the New Democratic Party of Mike Harcourt. Liberal Party leader Gordon Wilson surprised observers by leading his party to winning one-third of the votes cast, and forming the official opposition in the legislature. The new legislature met for the first time on March 17, 1992. The British Columbia general election of 1975 was the 31st general election in the Province of British Columbia, Canada. It was held to elect members of the Legislative Assembly of British Columbia. The election was called on November 3, 1975, and held on December 11, 1975. The new legislature met for the first time on March 17, 1976. The 1952 British Columbia general election was the 23rd general election in the Province of British Columbia, Canada. It was held to elect members of the Legislative Assembly of British Columbia, alongside a plebiscite on daylight saving time and liquor. The election was called on April 10, 1952, and held on June 12, 1952. The new legislature met for the first time on February 3, 1953. It was the first general election to use a preferential ballot, a short-lived phenomenon in BC. The presence of multi-member districts such as Victoria City with 3 MLAs in conjunction with the Alternative voting system called for an innovation where the district's slate of candidates was split into three "ballots," each with one candidate from each party. Kelowna-Lake Country is a provincial electoral district for the Legislative Assembly of British Columbia, Canada. It should not be confused with the federal electoral district of Kelowna—Lake Country, which encompasses a somewhat larger area. Thomas Hubert Uphill was a socialist politician in British Columbia, longtime mayor of the town of Fernie and also represented the riding named for the town in the British Columbia Legislative Assembly for forty years, most of them as the legislature's sole labour MLA. Harold Edward Winch was a Canadian politician active with the Co-operative Commonwealth Federation (CCF) and its successor, the New Democratic Party (NDP). The Politics of British Columbia involves not only the governance of British Columbia, Canada, and the various political factions that have held or vied for legislative power, but also a number of experiments or attempts at political and electoral reform. Lyle Wicks was a British Columbia politician. Robert Martin Strachan was a trade unionist and politician. He was the longest serving Leader of the Opposition in British Columbia history. Benjamin Richard Stewart is a Canadian politician, who represented the riding of Westside-Kelowna in the Legislative Assembly of British Columbia from 2009 to 2013 as a member of the British Columbia Liberal Party. ↑ Bowering's B.C. : A Swashbuckling History, by George Bowering, Toronto 1996, Penguin Canada, ISBN 978-0-14-024040-5, pp. 299-300. ↑ Bowering's B.C. : A Swashbuckling History, by George Bowering, Toronto 1996, Penguin Canada, ISBN 978-0-14-024040-5, pp. 300. ↑ Bowering's B.C. : A Swashbuckling History, by George Bowering, Toronto 1996, Penguin Canada, ISBN 978-0-14-024040-5, pp. 300-301. ↑ "A Letter From The Publisher: Sep. 30, 1966". Time . 30 September 1966. Retrieved 5 February 2011. Bowering's B.C. : A Swashbuckling History, by George Bowering, Toronto 1996, Penguin Canada, ISBN 0-14-024040-3. Vintage Canada: the complete reference to Canadian wines, by Tony Asper, McGraw-Hill Ryerson, 1999.